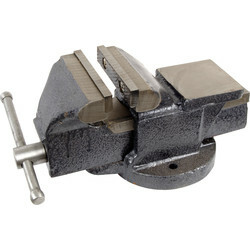 Safely secure materials or work pieces before working on them with a strong and dependable bench vice. A bench vice is an almost mandatory piece of workshop equipment for electricians, plumbers, pipe fitters, carpenters and more. 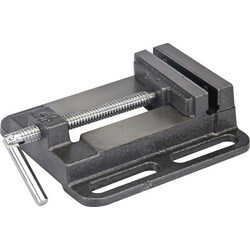 At Toolstation, we offer a variety of work bench vices for all types of workmanship. Browse our range of popular-branded Roughneck vices. 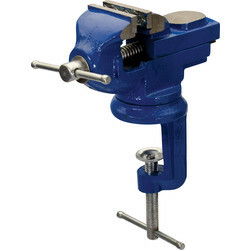 The Roughneck tri vice is an ideal solution if a bench or vice is not readily available. A hardwearing vice tool, the Roughneck tri vice is made from solid steel, so it can easily hold an array of strong materials including steel pipes, PVC, ABS and copper tubing. 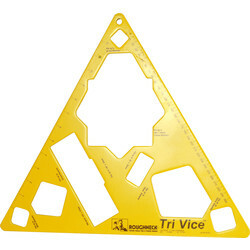 For a traditional vice solution, we recommend the engineers vice from Toolstation. Made from solid cast iron with replaceable jaws, this bench vice will last for years to come. Keep workpieces steady when drilling with a drill press vice. This cast iron vice will firmly keep project materials still and secure as the drill bit hits the surface. To prevent a workpiece from damage when drilling or clamping, try magnetic vice soft jaws. These handy vice tools are especially useful for engineers. 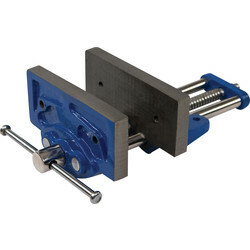 Simply insert the vice jaws into the bench vice and they will hold their position with their magnetic force. 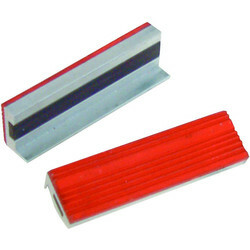 The rubber sides will prevent the workpiece from indentation or marking.